When the dark days of winter have set in, many of us long for spring to come early! Not only can you find ways to bring it on a little early, you can pot up spring to be ready to show it off in your home, on your porch or in the garden! The trick is to learn how to force spring bulbs to bloom in pots. 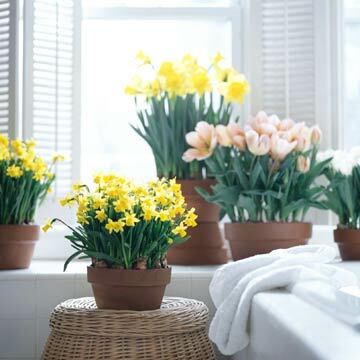 Best bets for forcing include tulips, hyacinths and daffodils. 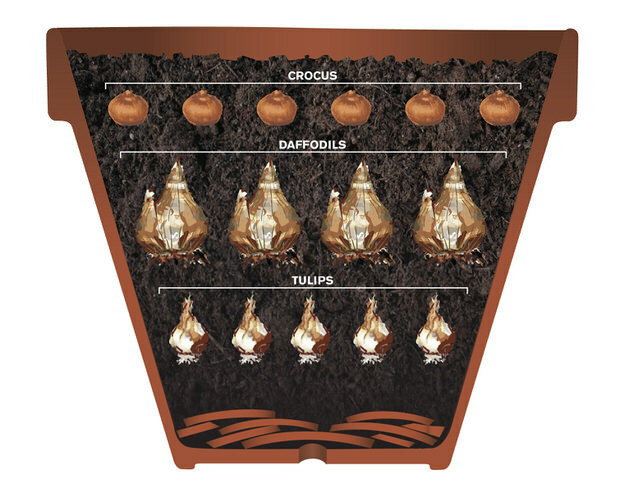 There are two steps to forcing bulbs… the chill step, where the roots develop, and the grow step, where they…well, grow! (And bloom, of course!) Photo below by ‘Flower Bulb Crazy‘. 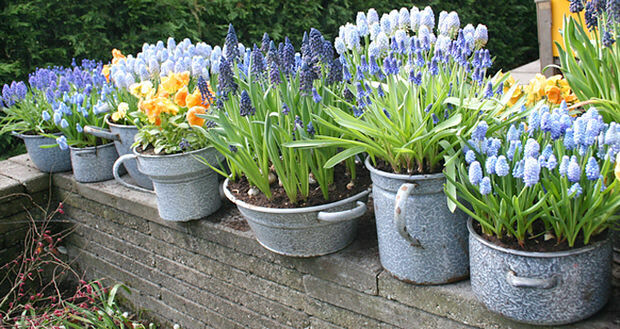 Pot up bulbs in shallow pots or containers in lightweight potting soil that is well drained. 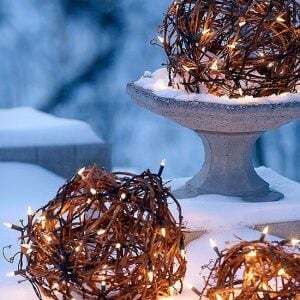 Layer bulbs of different types and sizes if you like. It is important throughout this stage that the soil be kept lightly moist… you may need to check every couple of days and add a little water. 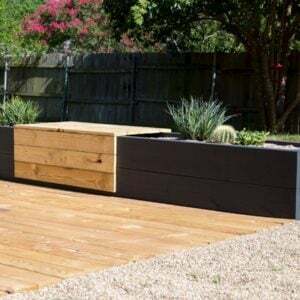 Now place the pots in a cool, dark spot for 8-16 weeks, depending on size and variety (small bulbs need less, like crocus) or until roots show through the drainage holes in the bottom. You want the spot to be less than 50 degrees, but not freezing. A refrigerator is the perfect spot, and some people use a cold frame out in the garden. Just make sure they don’t freeze, and that the roots are fully formed before you move on to the grow step. Photo by ‘World in Green‘. Once you see good root formation, the next step is to place them in a cooler spot in bright sunlight. You want to let them become accustomed to warmth for a few weeks, perhaps in a north facing window in a room that is not overly heated. 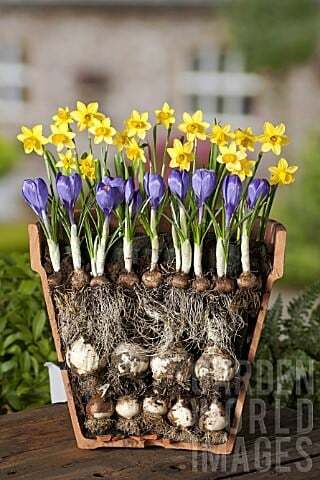 Remember the moist soil when forcing bulbs! After they have gotten some good growth on them, move them to a sunny and warmer window, porch or spot in the garden. They should bloom within 3-4 weeks from removing them from cold storage. Photo by ‘BHG‘. Forcing bulbs rarely results in re-bloom the next year, so treat them like annuals. These can make great Easter gifts, or simply happy gifts to those you care about (including you!) who need a dose of spring, perhaps a little early! We think you also will want to check out our post on the Top Garden Seed Catalogs! Hi ..my daughter and are trying forcing Tulip bulbs in a vase with stones/rocks withthe water even with the rocks and tey are working out perfect. I followed your advise on how to force paper whites ( narccissis) and amaryllis builds and to my delight within two weeks I already have paper whites starting to bloom and the amaryllis is not to far behind. Well, one is the amaryllis is going to take longer. It just started to shoot up! I am so happy with this. It is fun to watch every day howuch they have grown and to be able to enjoy my flowers I’m the winter. I already have my tulips in cool down mode! Can’t wait to start on those! Thanks so much for your helpful tips! Sorry about the spell check mode on my phone, but u all get the jest of it!! Lol. Enjoy forcing bulbs for the beauty of it! !